Students and youth are facing serious hitches after they have passed out of schools, colleges and universities. This should be the time for the greatest happiness in their life but it is vice versa in our state. After passing out our young people face frustration, depression, pressure and anxiety. This is the dilemma that students face in our state of Meghalaya. With unemployment comes despair, hopelessness, brokenness and depression. They became addicted to drugs and alcohol which in turn creates problems for their families too and society too. They are crying for jobs to make a living and to support their family but jobs elude them. The youth are voiceless and have no platform to make their tragedy and misfortune felt in the public domain. I am quite sure that every household has one if not more unemployed young person. It has become a disease which is proliferating in our state but no one really cares. Not especially those who have not experienced such travails in their homes. We are now living in very selfish times and care only for ourselves. We have become selfish and indifferent about the problems of others. The politicians we have elected have turned a blind eye to this critical problem of unemployment. The Government on its part seems to encourage only blue collared jobs not the white collared variety. Should Government not think about start up capitals for youth especially the poor and downtrodden so that they can start their own small businesses? The Government seems to pay a deaf ear to these crying voices which blow in the wind. As a society we should be the voice of the voiceless. But very few speak up for real issues. I strongly believe that it is a high time for the Government to seriously address this issue faced by our youths. 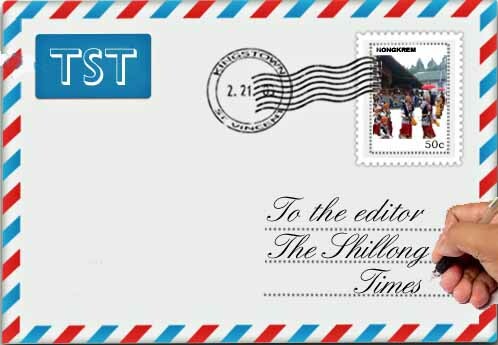 The people of Meghalaya can no longer remain silent spectators to this issue of unemployed youth. Many of them are now roaming in the streets of our localities with a desire for a job just so they can survive and add to the family income. If our young people commit crimes and become law-breakers can we blame them entirely? This I feel is the most neglected issue in the state. Let us as concerned citizens not take this issue lightly but engage with the Government on the need to think out of the box to create job opportunities and to skill our youth on the market needs. Our youth have the right to live with dignity but how can they without jobs? As a young person I am just highlighting the issue with the hope that others who are more knowledgeable and intellectually capable will address this issue. Today those of us who don’t have money to give bribes to government officers and oliticians have no hope of getting a job. Where do we go? And by the looks of it Government does not seem to have roadmap for the youth of the state. Time to close our kitchens? Indian Oil Corporation, the supplier of LPG cylinders under brand Indane, in a statement late on Wednesday (31st October 2018) increased prices of LPG or cooking gas once again marking the sixth monthly increase since June. While the subsidised LPG was hiked to the tune of Rs.2.94 per cylinder in Delhi, the increase in non-subsidised cooking gas was Rs 60 per cylinder. The new rates will be applicable to LPG cylinders in Delhi from November, according to Indian Oil, the country’s largest fuel retailer. IOC justified that the increase in LPG prices was, “due to change in international prices and foreign exchange fluctuations”. IOC also said in the statement that the actual impact on subsidised domestic LPG customers is mainly due to GST (Goods and Services Tax). From November, LPG consumers will have to pay Rs 505.34 per cylinder at subsidized rates, and Rs.939 per cylinder at non-subsidized rates. Since June, the subsidized LPG prices have been raised by a total of Rs 14.13 per cylinder in Delhi. IOC said the subsidy transfer in the customer’s bank account has been increased to Rs 433.66 per cylinder in the next month, as against Rs 376.60 per cylinder this month. The government subsidises 12 LPG cylinders of 14.2 kilograms each per household in a year. It provides the subsidy amount directly in the consumer’s bank account. The consumer has to bear the market price for additional LPG cylinders in a year. Are the MPs and MLAs of the country, as consumers, also bearing the same market price as is being imposed on the common people or are they enjoying free 30 plus LPG cylinders per year as freebies? What is also not understood is why the hiked prices of both the categories of LPG cylinders (sub- Rs 508.70 & non-sub Rs 969.50) are highest in Kolkata of all the Metros? Amid global efforts to reduce carbon foot-prints and growing environmental pollution it is no longer permissible to use coal for cooking purposes which used to be the cheapest domestic fuel and used by majority of urban and rural people in the 50’s and 60’s. With the continued price increase of LPG/cooking gas by the producing companies and bereft of Government control, the survival of the urban middle class and retired senior citizens is already at stake leaving aside the BPL population. What about the rural population of the country? They do not earn enough to afford to pay for the soaring prices of LPG cylinders for their cooking purposes. Unless the Central Government restricts and freezes for a period of time the escalation of LPG price to a reasonably stable level, the rural population throughout the country would be forced to resort to massive de-forestation and use fire wood as domestic fuel adding to the rising global- warming crisis by reducing the already fast diminishing “forest-cover” to an alarming level. This unabated increase in price of cooking gas with the tacit support of the Central Government reeks of foul play. This could be a dangerous game that could lead to a mass commotion or conflict ahead of the impending general election. The very electorate that voted the ruling party today may vote them out. The Union Government may, therefore, take immediate remedial measures including the immediate exemption of GST from pricing of LPG Cylinders.